All versions require Uplay and Denuvo Anti-Tamper DRM and a constant internet connection for all game modes. The Starter Edition includes the full single player/co-op campaign and 6 playable heroes (instead of 12) with 3 fully unlocked. Other heroes can be unlocked for 8000 Steel each. The Deluxe Edition contains the base game and Deluxe pack. 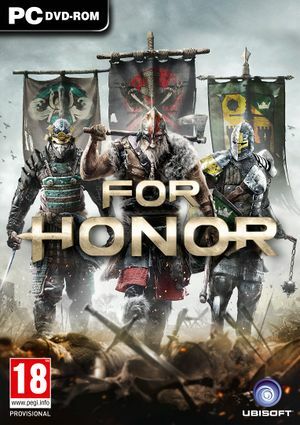 The Gold Edition contains the base game, the Season Pass and the Deluxe pack. Place the Videos folder in <path-to-game>. Saves game progression on the uPlay Account. Some animations (e.g. cloth\hair physics, camera when sliding down a rope) are updating at lower framerate. Set Voice Chat Volume to your preferred microphone gain. Bink Video Renaming or deleting the intro video files results in a crash on launch. ↑ File/folder structure within this directory reflects the path(s) listed for Windows and/or Steam game data (use Wine regedit to access Windows registry paths). Games with Steam Cloud support may store data in ~/.steam/steam/userdata/<user-id>/304390/ in addition to or instead of this directory. The app ID (304390) may differ in some cases. Treat backslashes as forward slashes. See the glossary page for details. This page was last edited on 6 March 2019, at 18:29.